 Since 1978, Olde Towne Chimney & Fireplace Sales has been meeting the chimney and hearth needs of residents throughout the greater Southern Indiana and Louisville, KY area. From chimney sweepings and inspections to repairs, hearth appliances sales, and installations, the adept team at Olde Towne does it all! 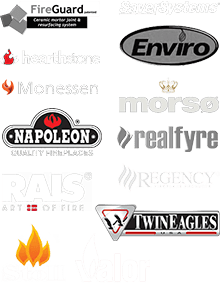 Our experts have been involved in the industry for years, and have worked with chimney systems, fireplaces, stoves, inserts, and grills of all types and manufacturers. We’ve dedicated ourselves to bringing all of the industry’s best offerings to our customers by investing in our team’s education and carrying only the finest products available. Our goal is to give our customers the best possible experience, whether they’re shopping for a new gas log set, building the outdoor kitchen of their dreams, or simply looking to maintain their existing fireplace and chimney. Your hearth shouldn’t be a constant cause for worry or concern, but when it’s not properly cared for, it can be! 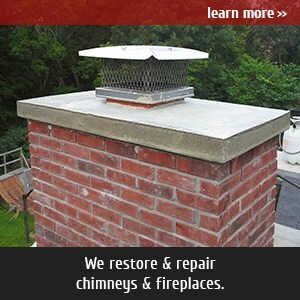 Let the team of CSIA-certified chimney professionals at Olde Towne Chimney & Fireplace Sales annually inspect your system from top to bottom, and make sure things are working the way they should be! We use state-of-the-art equipment when inspecting and sweeping, so you can be confident that you’ll receive thorough, mess-free service when we’re in your home. Regardless of whether your system is oil, wood, or gas burning — we can help you keep your chimney and fireplace working optimally for as long as possible. Since we’re venting experts, we also offer dryer vent cleaning services, which can help you maximize your dryer’s efficiency and reduce your fire risk. Learn more here! Shopping for a new hearth appliance, grill, outdoor fireplace, outdoor kitchen, or other home heating or outdoor living enhancement? 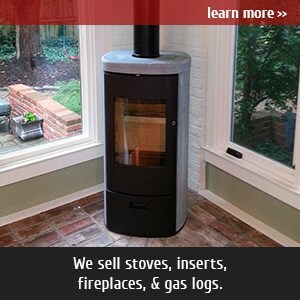 Olde Towne Chimney & Fireplace Sales has a fully stocked and fully functional showroom located in Jeffersonville, IN! Our team members are familiar with all of our products and can help you as you shop. Whether you have questions or want us to fire up an appliance so you can get the full experience, we’re here to make your purchase, installation, and care as easy as possible. For more information and directions to our showroom, please click here. We install and service chimneys and hearth appliances throughout the greater Southern Indiana and Louisville, KY area, including Prospect, Crestwood, Floyd Knobs, and New Albany. For more information on our service area and the cities, towns, and zip codes included, please click here. 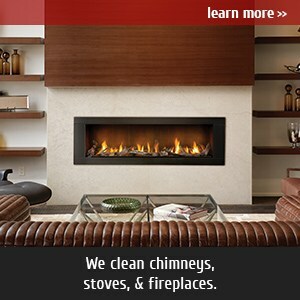 Whether you’re searching for the best new hearth appliance or looking for a trustworthy chimney and fireplace care company, look no further than Olde Towne Chimney & Fireplace Sales! Call us today at 812-284-0123 or click here to request an appointment online!